A University of Texas Southwestern study will see if giving unborn babies with Down syndrome Prozac in the womb will help improve brain functioning. Dr. Carol Tamminga, who is leading the study at UTSW, said the medical community has been giving Prozac to children with Down syndrome for years, but the effects of giving it to children in utero haven’t been tested. "And this will really be the first controlled trial where we will get to test does this really work or not," she said. Mothers pregnant with Down syndrome babies will take Prozac about 18 to 20 weeks into their pregnancy. The child will continue to take Prozac until the age of 2. Throughout that time, doctors will do brain imaging studies, rate cognition and follow the general health of the child. Tamminga said the study was first conducted on animals. The evidence in mice was so striking, researchers immediately thought it could help humans as well. UTSW is working with obstetricians right now to find parents interested in taking part in the study. 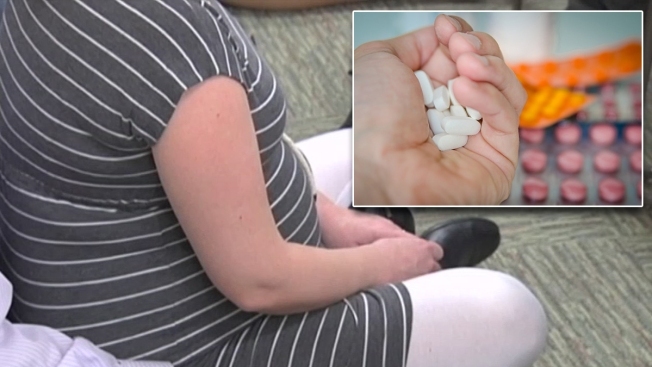 Doctors hope to have 21 mothers start taking Prozac in March. "I think it’s a very personal decision based on what the mother and the father decide to do," Tamminga said. Since Prozac is a standard antidepressant, Tamminga said it shouldn't hurt the mother. Although antidepressants during pregnancy have been linked in some studies to rare birth defects, the overall risk is "extremely low," according to the Mayo Clinic. "We think about what could be the potential downsides for the children, and what we really do is weigh the risk and the benefit," Tamminga said. "So, what if this medication had an effect that really helped the child move from an IQ of 60 to an IQ of 90? I mean, that would be a miracle from our point of view. That's what we hope would happen and we would be willing to sustain a good deal of risk for that."